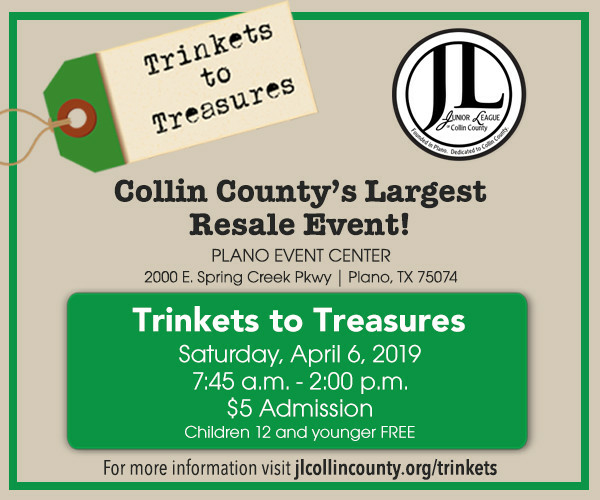 Trinkets to Treasures, Collin County’s largest one-day resale event is organized and staffed exclusively by the Junior League of Collin County (JLCC) provisional new member class. 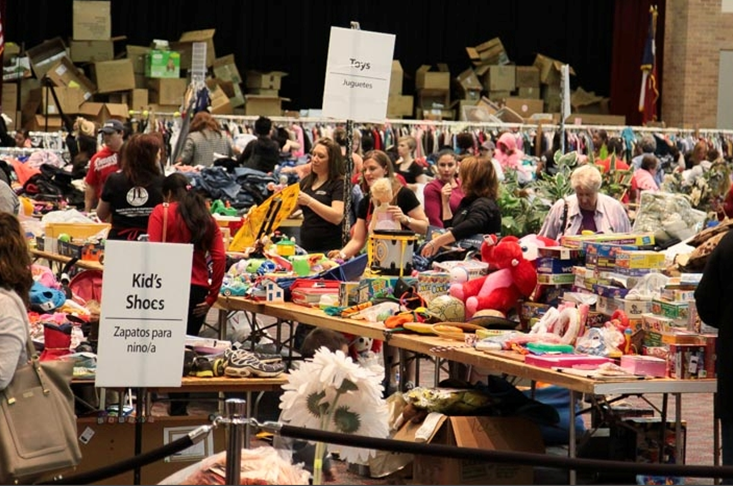 Each year, League members and local businesses donate merchandise, such as home and office furniture, apparel, shoes, children’s toys, sports equipment, small electronics, and much more to this event! 1. Donate your tax deductible merchandise. For complete details and guidelines contact trinkets@jlcollincounty.org. 3. If you represent a non-profit agency that would like shopping certificates to provide to your clients, please let us know by emailing trinkets@jlcollincounty.org. 4. Shop Trinkets to Treasures for some great deals! Thank you to our sponsor, Callbox Storage!